Look At These Adoptable Cuties! 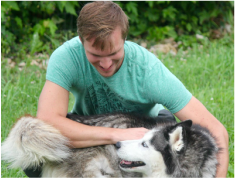 We are a comprehensive and forward-thinking 501(c)(3) organization that is dedicated to the rescue, rehabilitation, and sustainable adoption of Siberian Huskies in need. If you are searching for a wonderful husky to welcome into your life, you are in the right place! RHHR is a private facility, please contact us to make an appointment. We look forward to helping you find your new furever friend! Situated on four, fenced acres in scenic Dekalb county, RHHR accepts huskies in need for rescue, rehabilitation, training, and subsequent adoption. The RHHR huskies benefit from all forms of your care: in-person volunteering, monetary giving, supply donation, husky sponsorship, and more! RHHR offers our huskies so much more: comprehensive veterinary care, customized training plans, enrichment games, and even "luv" time! 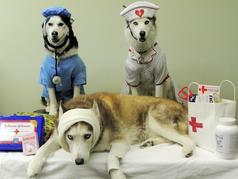 100% Of Your Donations Go To Supporting Raven's Husky Haven and Rescue!